Olivier Castel, ONCE ACROSS THE BRIDGE, PHANTOMS CAME TO MEET THEM, 2014. © the artist, courtesy ANDOR, London. 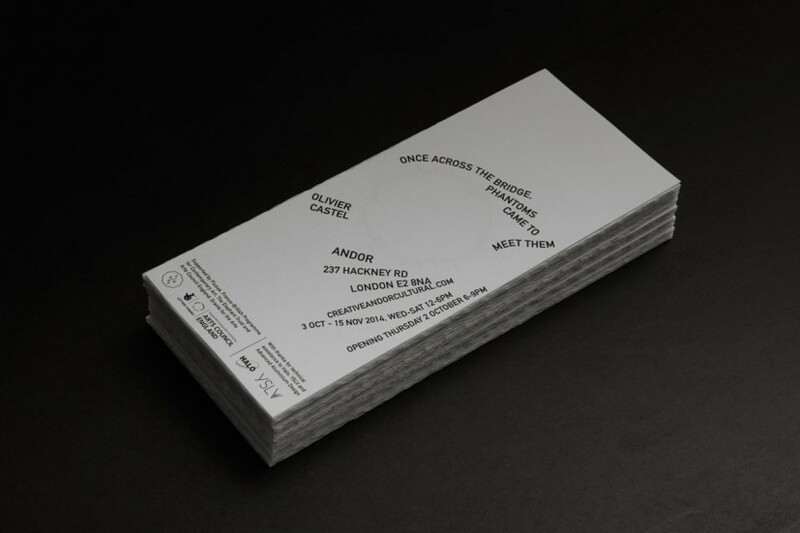 Olivier Castel’s exhibition at ANDOR Gallery on Hackney Road begins before you step off the pavement and into the gallery. 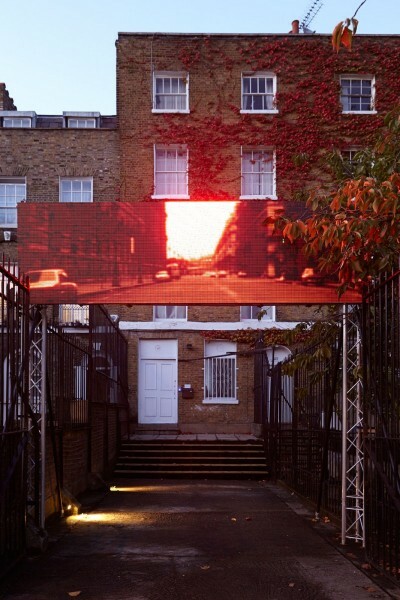 Installed over the gates is a large scale LED display, showing looped images in striking red and black. As I stood and watched, a small crowd of bystanders gathered. A narrative unfolds, stitched together from fragments lifted from Walter Benjamin, Marguerite Duras, Saul Bass and Keith Haring. The availability of material in digital form that is so emblematic of this decade, or century even, enables an artist to work with text, sound and image from a vast variety of sources, combining them together in the way a painter might use a palette of paints. Once inside all is cool and grey. 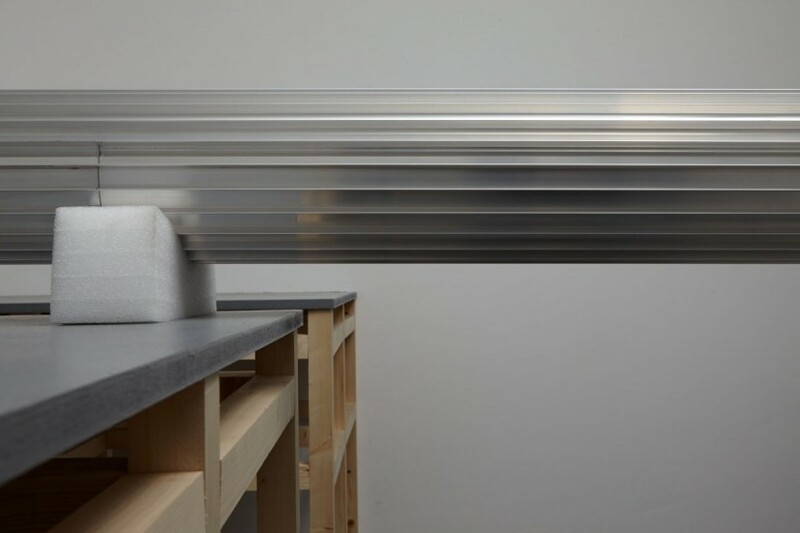 The installation takes the viewer up a narrow set of stairs and onto a platform supporting an extruded aluminium column 12 metres long. 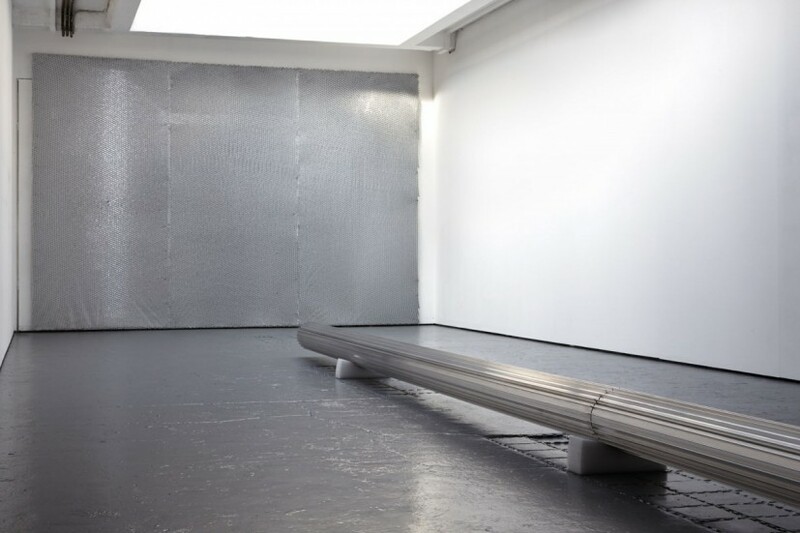 Of course you look up the column – which is in fact a re-purposed industrial heat sink – towards the silvery screen at the far end of the gallery. 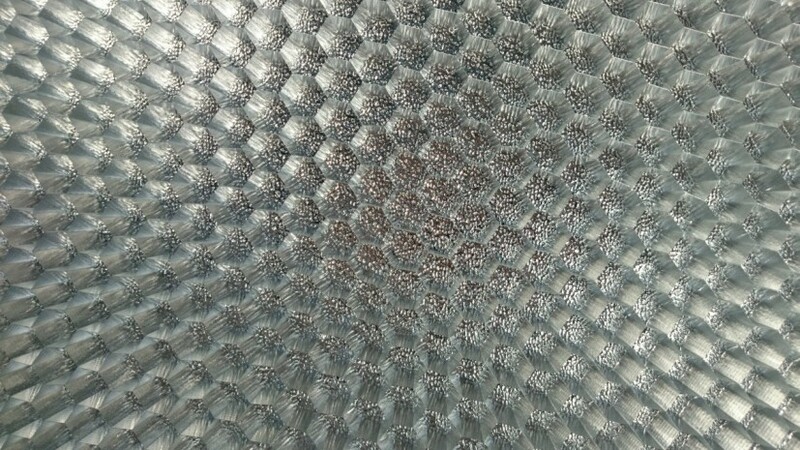 With daylight coming in from a rather lovely 19th century rooflight, the video which is projected onto the aluminium honeycomb screen is bleached out and ghostly. Again, a collage of footage drawn from films as diverse as To Have and Have Not (Howard Hawks, 1944) and Ugetsu (Kenji Mizoguchi, 1953) the work is united by a watery, gaseous theme: one makes out a canoe, or fishing boat with a standing oarsman crossing the screen, at another point ripples on water caught in bright sunshine, at another you become aware of watching the flatbed scanner of a photocopier. It feels as if the visual material is always tantalisingly just out of reach. 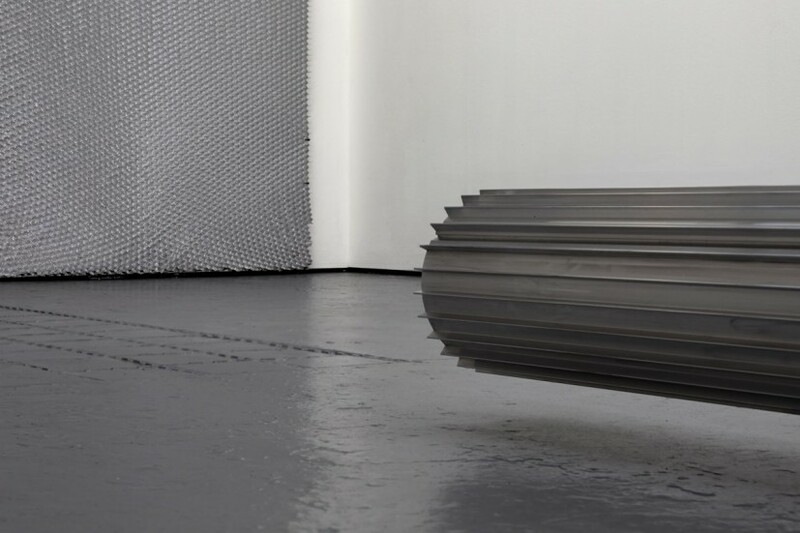 Immateriality is a quality sought by this French-born, London based artist who has been showing quite consistently here for a few years now. 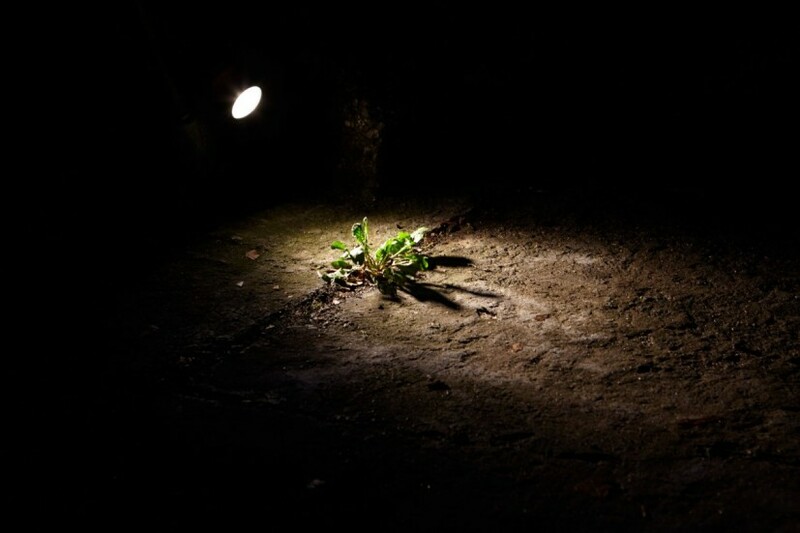 Castel has regularly used pseudonyms in the past, to throw us off the trail, and dematerialise his own presence as artist. 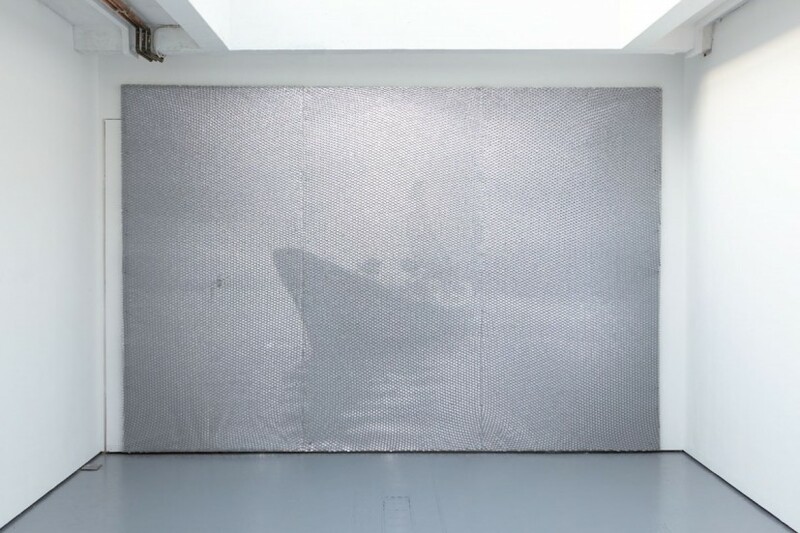 At the Hayward in 2012 he showed under the name Louise Weiss, and in 2011’s In the Belly of the Whale exhibition at the Cartel gallery in South London he was Come Ciment. Castel has apparently shown under more than 30 different pseudonyms. A love of traditional cinema also characterises the work, and the title of the current exhibition is taken from Murnau’s classic 1922 film Nosferatu – a phrase incidentally picked up by the Surrealists at the time as a motto. Venture down Hackney Road this weekend and see what phantoms come to meet you.